Raúl De Molina is a Havana, Cuba-born Cuban-American journalist born on 29 March 1959. As a photographer as well as a television personality, he probably best known for co-hosting the entertainment news show “El Gordo y la Flaca”, having won Emmy Awards multiple times for his work in the show. Raul has been active in his profession for the last 21 years. One of the most famous television personalities in America, one may wonder how rich is Raul De Molina? As estimated by sources, Raul counts his net worth at an amount of $30 million in early 2016. Needless to say, Raul’s involvement on television as a co-host of a popular television show has been the most significant in amassing his wealth; being a successful author and photographer has also added to his riches. Raised in Havana Cuba, Madrid Spain, and the USA, Raul attended Art Institute of Fort Lauderdale and graduated to become a freelance photographer. Initially he began his career as a photographer for Associated Press. Until today, his photographs have been published in reputable magazines such as Time, Newsweek, Paris Match and others. Along with freelance photography, Raul has been active as an anchor on television for the last 21 years. Previously, he was associated with Telemundo, but now works at Univision. Raul De Molina, also known by the name “El Gordo”, currently co-hosts the entertainment news show named “El Gordo y la Flaca” that airs every weekday on Univision Networks. He has also hosted and reported for television shows like “Occurio Asu”, “Hola America”, “Club Telemundo” and more. His performances on television have earned him multiple Emmy Awards. Apart from hosting programs, he has also given notable appearance in the Miss America 2012 pageant as a judge alongside celebrities like Kris Jenner and Lara Spencer. Raul also covered the FIFA World Cups in Brazil, France, South Africa and Germany. For his contributions in the field of journalism, Raul was chosen as one of the most influential Hispanics in the USA by the magazine People en Espanol in 2008. 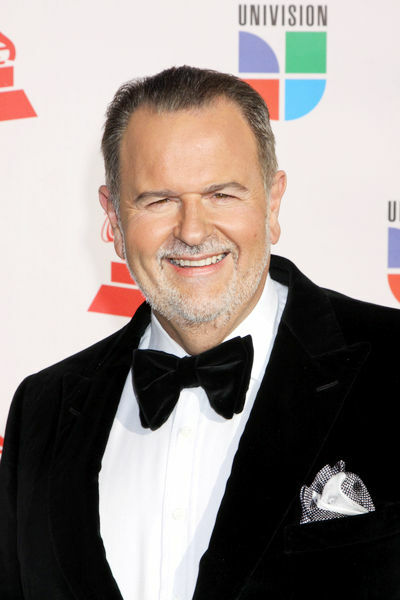 He, along with his co-host in “El Gordo y la Flaca”, was given his own star on The Las Vegas Walk Of The Stars in 2009. As an author, Raul has released several books including “La Dieta del Gordo”. He was also previously a special contributor for the Travel + Leisure Magazine in its Spanish edition and also currently serves as a regular contributor to AOL News. In addition to this, Raul also serves as a brand ambassador for Louis Vuitton. Needless to say, being involved in these many projects has been very beneficial to Raul while amassing his riches. The 57 years old journalist as well as an author now leads his life married to Mollie since 1995, and as an accomplished and widely successful television show host. On top of that, Raul De Molina’s present net worth of $30 million caters to his daily life in every way possible. 1 Has a daughter named Mia.